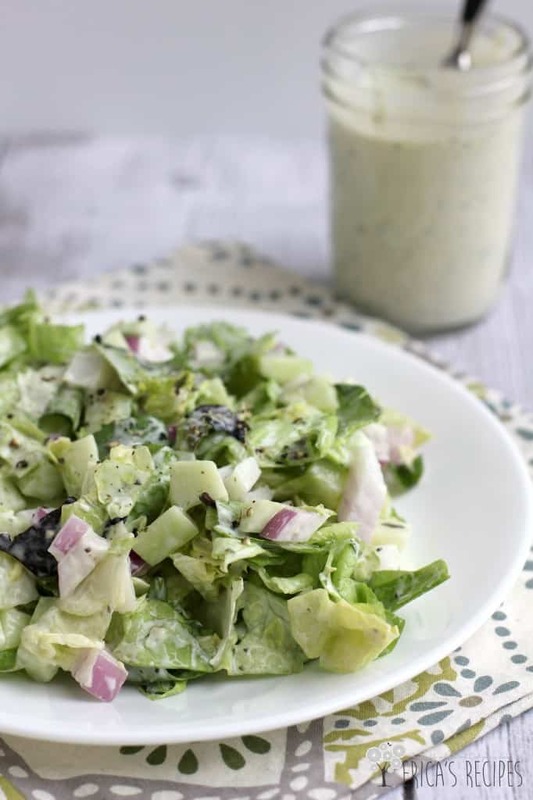 A creamy, delicious, and healthy dressing highlight this elegant-but-easy Chopped Salad with Buttermilk-Pesto Dressing dinner salad that will impress everyone. Salad and I have a very strained relationship. I know it’s good for me, but it’s a forced relationship ….it doesn’t come naturally. Like any relationship, there are ups and downs, good times and bad. Then, once in a while, salad surprises me and at least for a time, I am head over heels. Lawd that was hokey….but it’s hard coming up with new and different ways to describe lettuce. On a large cutting board, chop the butter and green leaf salad mix to make the pieces even smaller. Transfer to a large bowl. Add the cucumber and red onion. Spoon in some Buttermilk-Pesto Dressing and toss, adding enough dressing to coat all the salad evenly. Yield: 4 servings as a side salad. Whisk ingredients together until smooth. Store in the refrigerator up to one week. I like a good salad. However, they can rack up a lot of calories. This looks really good. Thanks! Beautiful salad. I love pesto in dressings! I always make my own salad dressings but I never use buttermilk. I need to try this. It looks wonderful to me, Erica! I hope you will join us again at Foodie Fridays!! 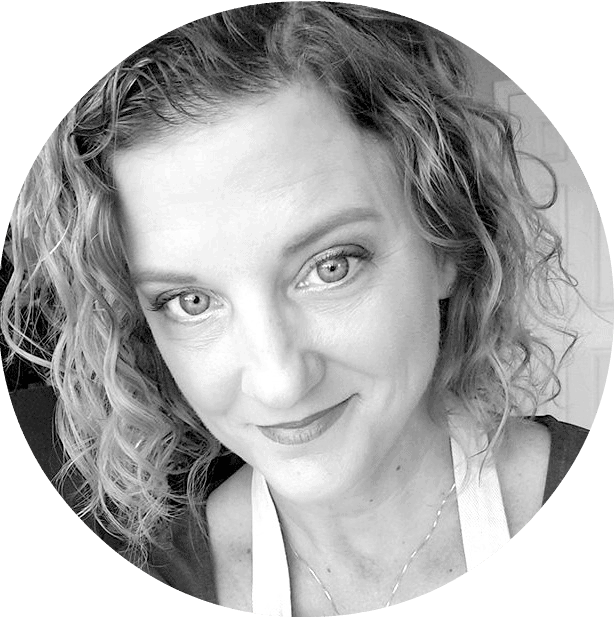 Hi Erica – Thanks so much for sharing this with the Let’s Get Real Party. I’m pinning it to our group board. It look delicious! I have a batch of homemade pesto I can use in it. 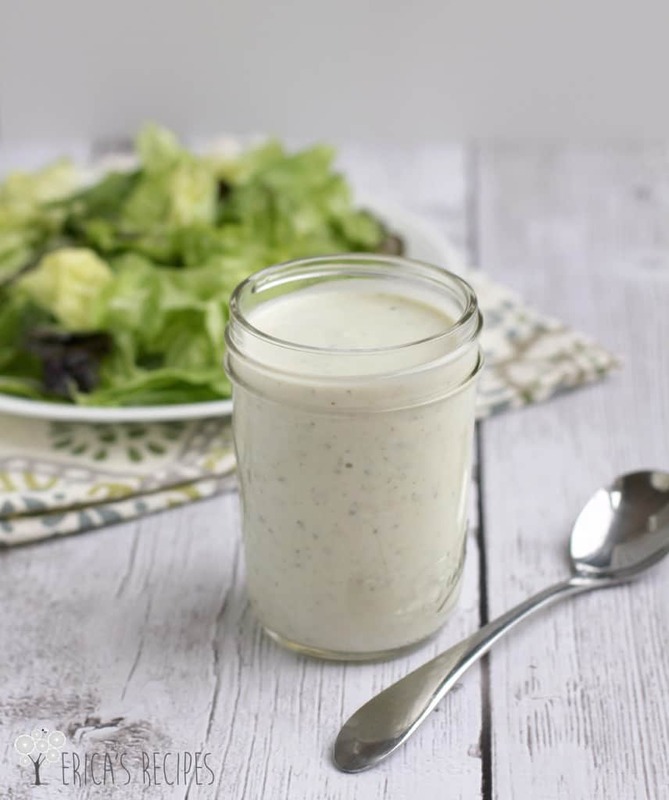 Love fresh buttermilk dressing. Adding pesto, genius! Thanks for partying with us this week at Let’s Get Real. Beautiful and healthy! I love your salad. And, I love that you used pesto in the dressing. That’s such a great use of pesto! I’ve been eating more salads lately, maybe because it’s hotter and lighter food just tastes better. Yum! 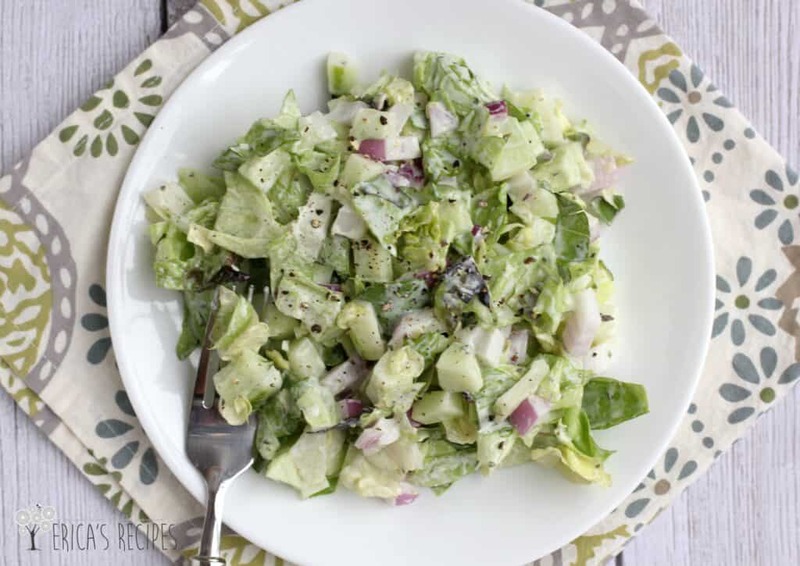 This salad looks beautiful, Erica, and I love how you lightened up the buttermilk dressing with Greek yogurt instead of the traditional mayo. I’m not always a fan of salad and struggle making them for myself at home, but if I find more recipes like this, I know I will be!